The ProStar Split Bulkhead Brake system is a EASY way to remove your center differential - 4 bolts to be exact. and you do not even need to mess with your linkage..so your keep your settings exactly as you did. 4 bolts and pop off your center brake rod end from your servo.. 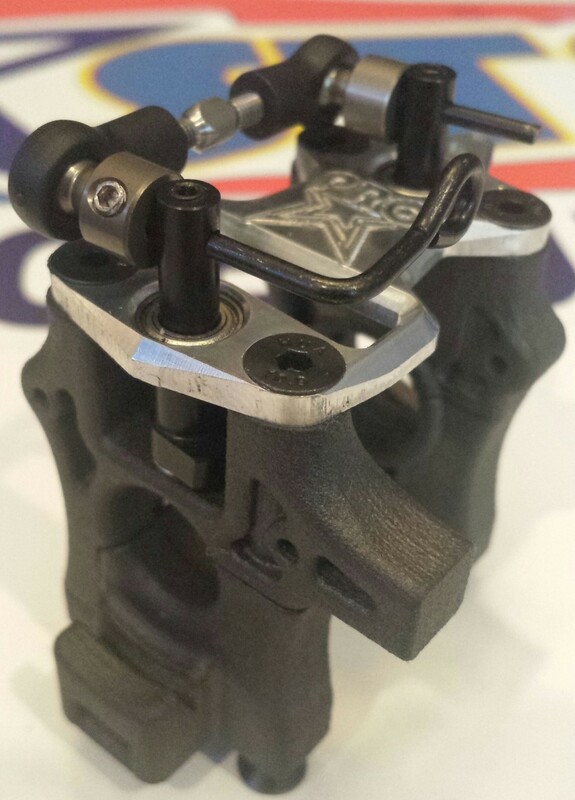 Brake bias is adjusted with the thumb adjuster easily on the fly!! and precisely!! Bulkheads are manufactured with high temp carbon plastic and precisely fit together for a strong structural fit.